The day dawned with fresh west by north-west winds and induced a decent amount of visible migration and a reasonable arrival in the bushes with a Great Spotted Woodpecker, 75 Chiffchaffs, two Lesser Whitethroats, 12 Song Thrushes and 65 Redwings. Of note among the birds passing overhead were a few raptors including five Buzzards, 15 Sparrowhawks, eight Kestrels and two Peregrine Falcons all heading south-east, a Wood Lark, three Grey Wagtails, three Tree Pipits, 17 Siskins, a Redpoll and 14 Reed Buntings. 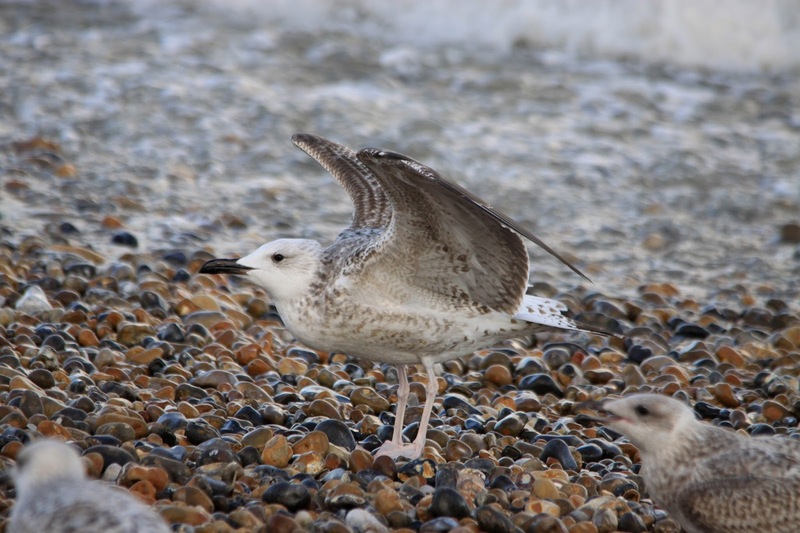 An afternoon seawatch produced a Pomarine and two Arctic Skuas and an Arctic Tern of note whilst a check of the gulls at the fishing boats found a briefly stopping first-winter Caspian Gull along with a couple of first-winter Yellow-legged Gulls and three Mediterranean Gulls. 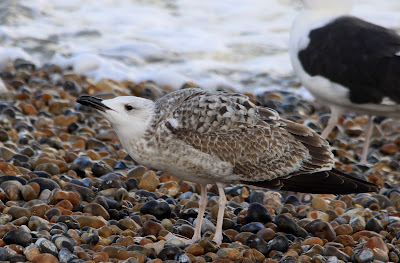 Five Porpoises and a Grey Seal were feeding offshore and a Brown Hare was seen at the Point. 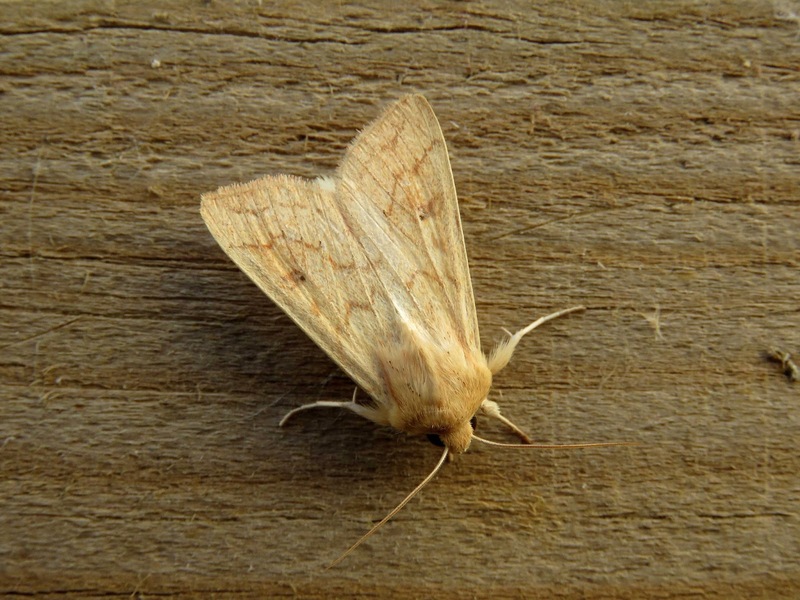 A fall in the overnight temperatures reduced the numbers of moth trapped but they did include a Delicate.